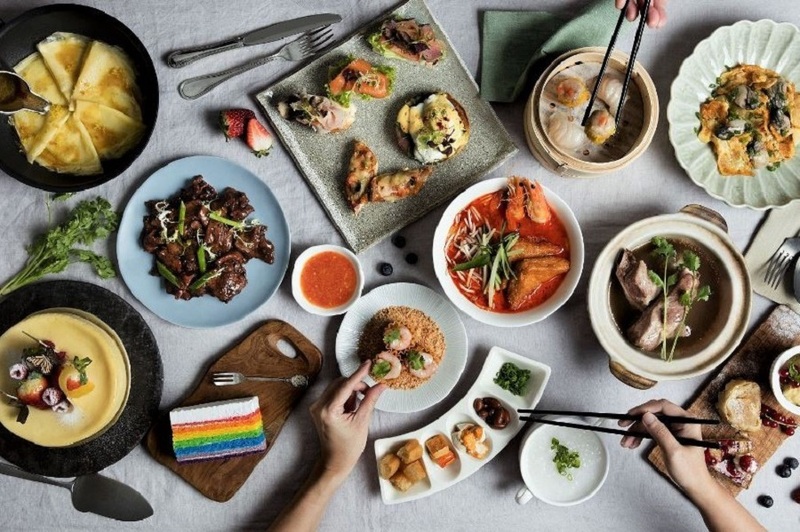 Singaporeans love a good buffet deal, now here are 10 of them all priced less than $49. 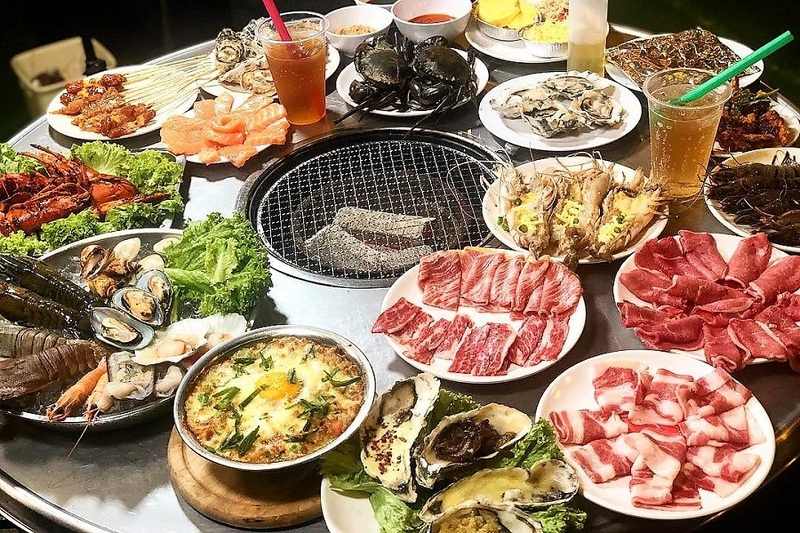 These deals include 1-for-1 buffets and up to 50% OFF discounts to the Top Buffet Spots in Singapore, with buffet prices starting from $22.25 nett for 2 diners. All you need to do is to visit ChopeDeals’ website or use the Chope app to purchase e-vouchers and redeem them instantly at these popular buffet restaurants. Step 1: Choose an offer from the list of buffet restaurants here. Step 2: Get Deal by purchasing the discounted vouchers, and receive them via email or the Chope app. Step 3: Present your voucher at the restaurant to enjoy the savings. 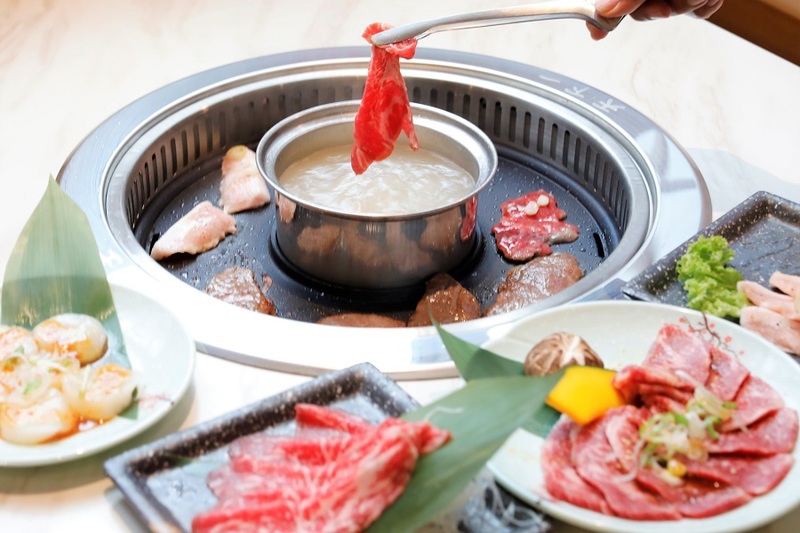 Renowned for its premium grilled Wagyu Beef and value-for-money buffets, Tenkaichi Japanese BBQ Restaurant offers an authentic Japanese yakiniku experience. 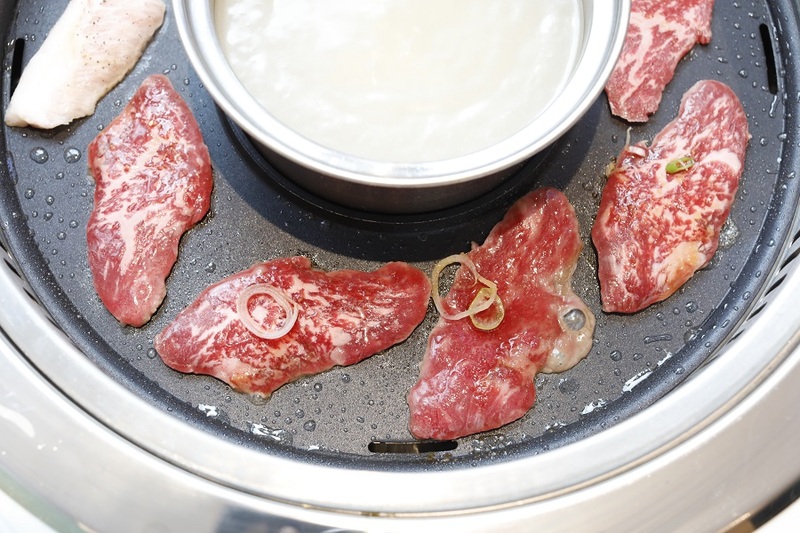 At Tenkaichi’s Deluxe and Premium Yakiniku Buffets, you get free flow of Wagyu beef sourced from different parts of the world: Kagoshima, Hokkaido, US, and Australia. It offers high-quality premium Japan Kagoshima Wagyu, and you can be assured that the Wagyu is graded no less than a marbling score of 7+. 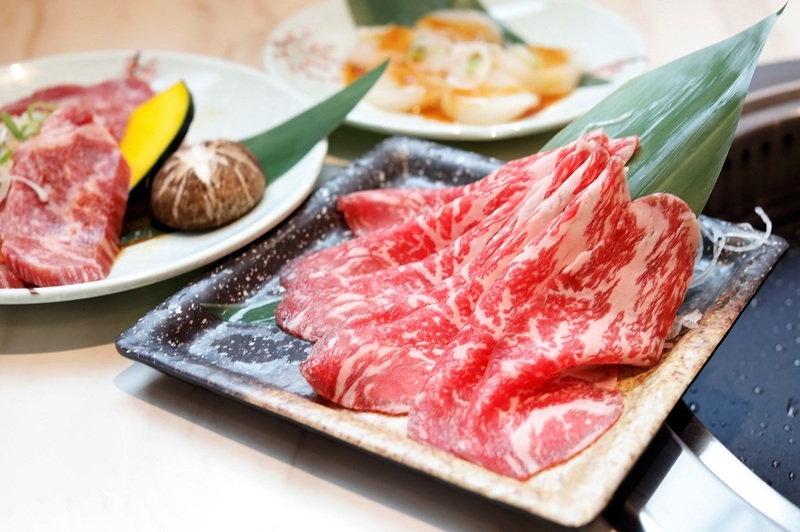 Aside from the famed Kagoshima and Hokkaido Wagyu, it offers a range of sashimi (octopus, tuna, sea bream, salmon, yellowtail, mackerel, Wagyu beef), beef (ox tongue, beef belly, striploin), pork (cheek fillet, smoked belly, collar, loin, belly), chicken (boneless leg, wing), seafood (local spicy fish cake, salmon, prawn, squid, capelin fish, sea bream, mackerel). Go for the Premium Buffet with Wagyu Beef to also enjoy premium seafood like Hokkaido Jumbo Oyster, Giant Scallop, and White Tuna. It also includes the famed Kuro Buta Kaburi (Black Pork Belly) known for its tenderness, Lamb Nakaochi (lamb intercostal), and special cuts of Wagyu (ox tongue, short rib, beef rib intercostal, beef rib eye cap, and mixed beef & pork patty). Good news if you are near town: Tenkaichi has just opened a new outlet at Orchard Cineleisure. Time to head over! 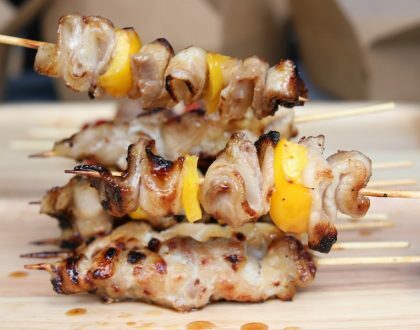 Buffet-licious Deal: Get 1-for-1 All Day Buffet at Tenkaichi Japanese BBQ Restaurant with ChopeDeals. Go to Suki-ya if you want an extremely reasonably-priced eat-all-you-can sukiyaki a.k.a. Japanese steamboat, and shabu shabu. Known for its five unique soup bases (Shabu Shabu, Sukiyaki, Tonyu Miso, Butaniku, and Kimuchi), Suki-Ya gives you options whether you want something wildly spicy (Kimuchi) or healthy & nutritious (Tonyu Miso). 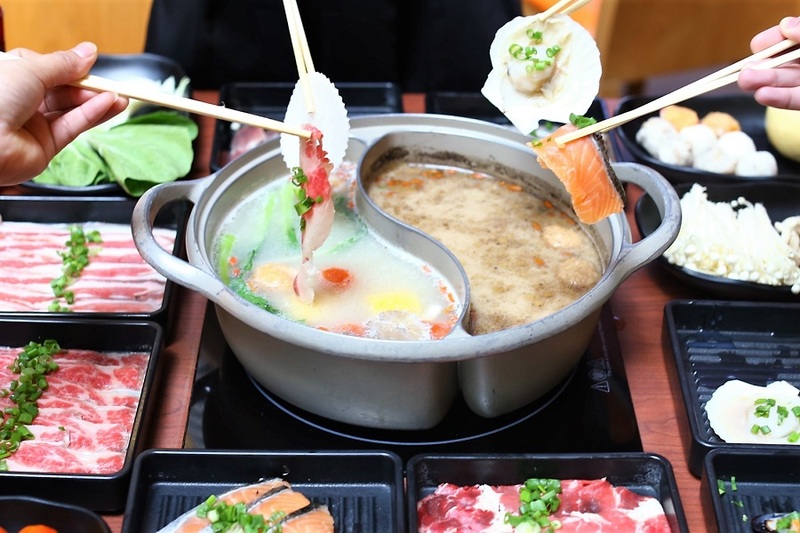 Its signature Shabu Shabu soup base is made from healthy kombu stock and simmered kelp and is low in calories and light on the palate. 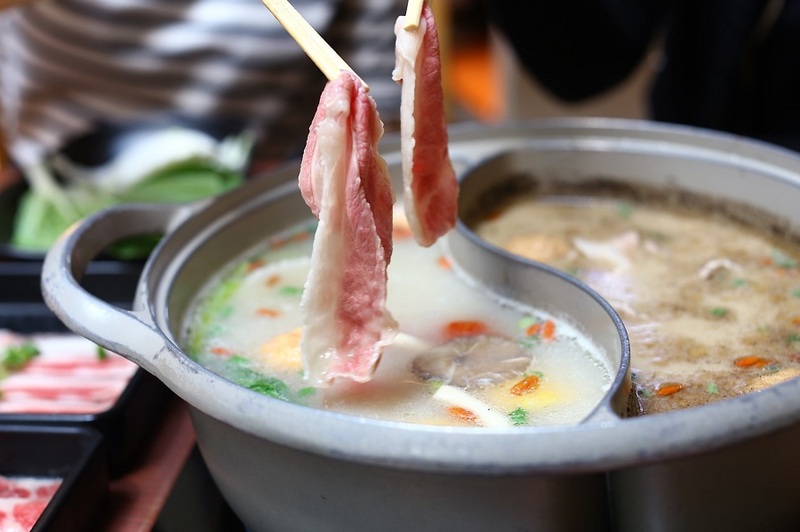 A Japanese favourite, the Sukiyaki broth, is a combination of soy sauce, sugar and mirin. For your meat selections, this “House of Pot” offers unlimited, top-quality chilled paper-thin slices of beef, pork, and farmed chicken. Dip your meats in available sauces like ponzu (shoyu with vinegar), goma tare (sesame sauce), spicy miso tare (soybean paste sauce), which you complement with grated radish, chopped chillies, chopped spring onion, or mala spice. Explore Suki-Ya’s vegetable bar, stocked with a mix of fresh greens and assorted vegetables, best for cleansing your palate after all the richness you’ve taken in. Buffet-licious Deal: Enjoy 1-for-1 Lunch Buffet or get up to 25% off Dinner Buffet by purchasing vouchers from ChopeDeals. 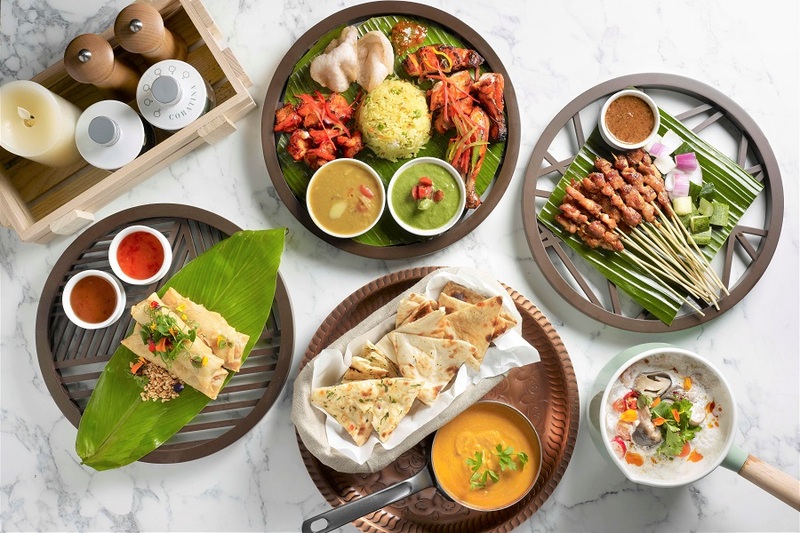 Located at 2nd level of Novotel Singapore on Stevens, Food Exchange is a modern chic restaurant where you can enjoy an international buffet for brunch, lunch or dinner. You can dine amidst a lush, leafy backdrop, or go al fresco by the hotel’s infinity pool. It offers a wide variety of hot and cold regional and international specialties, including stations for salad, sushi and sashimi, Western and roasts, Indian tandoori, European cold cuts, European cheese, and desserts. 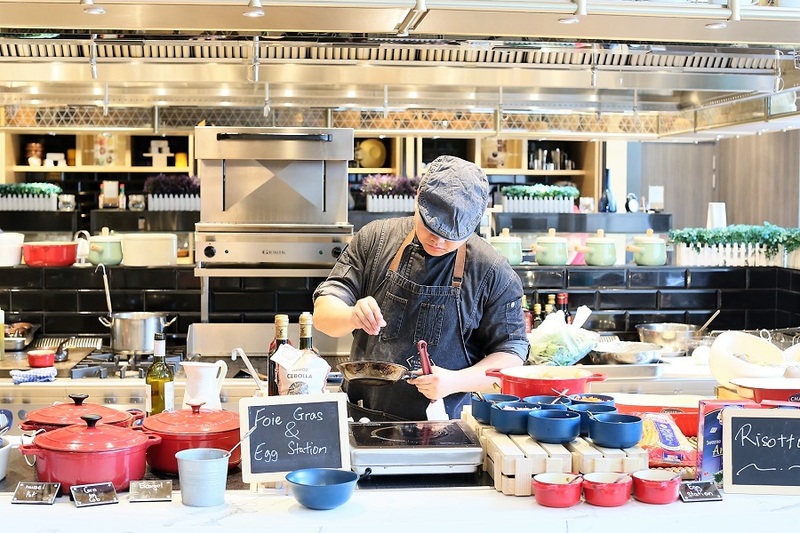 Some dishes are prepared before you at the “live” stations, such as eggs, foie gras, risotto, and noodles. Don’t miss the “Seafood on Ice” station which has the freshest snow crabs, clams, mussels, and jumbo prawns. In the evening, “The Charm of Singapore” Dinner Buffet offers you a fusion of Asian, European and Indian cuisine. Local specialty offerings may vary but watch out for their Hokkien Sotong Mee and the live noodle station. An international wine list and a variety of beverages like champagne, beer, and soft drinks are available to complement your meal. Buffet-licious Deal: Purchase vouchers from ChopeDeals for Food Exchange at 30% off. Marriott Café is a popular destination for its High Tea Buffet, as well as its multi-cuisine buffet for lunch and dinner. Specially curated delicacies, such as the signature Laksa, are cooked a la minute at the live stations where chefs are always on standby. The buffet spread is brimming with fresh seafood on ice, sushi & sashimi, charcuterie & cheese, gourmet roasts, Western and Asian delights, and desserts. 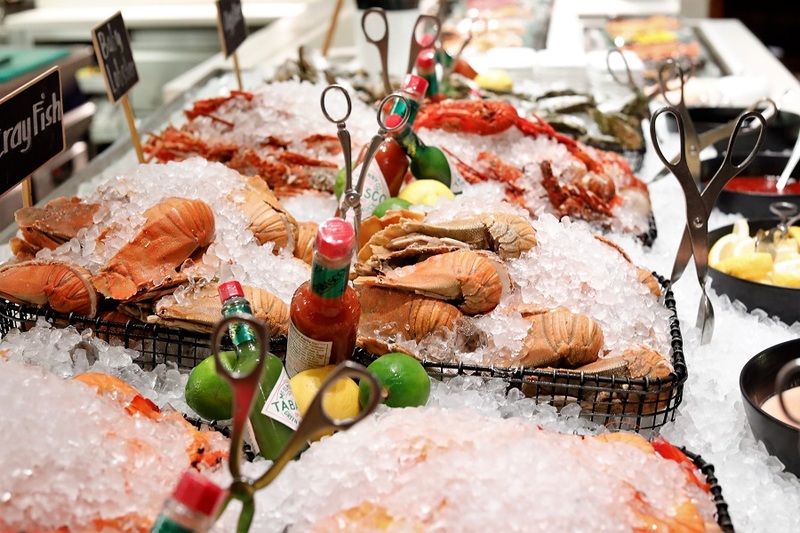 The Seafood Station has a steady supply of freshly shucked plump oysters, crayfish, prawns, snow crabs, and Boston lobsters. Premium meats are cooked at the Beech Oven Station like the Australian Roast Beef Sirloin and Roast Prime Ribs, and the signature items Crispy Pork Saddle with Prunes and Pancetta & Mixed Herbs. If you’re craving for Western and Asian dishes, these are highly recommended: Spiced Maple Glaze Pork Ribs, Braised Duck with Cherries & Roasted Pear, Seafood Stew, Thai Duck Curry, and Chicken Kung Pao with Peanut & Chilli, Nasi Lemak, Chicken Rice, Hokkien Mee, Sambal Stingray, Rojak, Dim Sum, and Chicken Masala. The Singapore Chilli Crab, Seafood Paella and Sticky Date Pudding are Marriot Café specialities you shouldn’t miss. 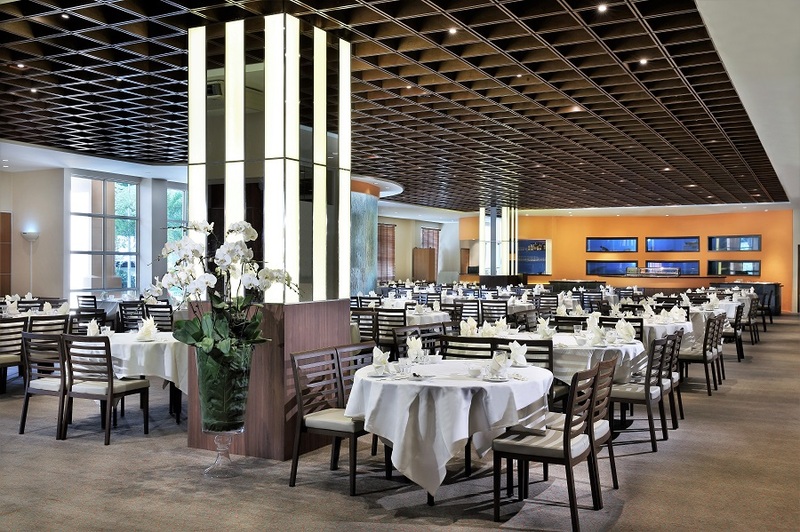 Buffet-licious Deal: Purchase vouchers from ChopeDeals for Marriott Café at 50% off. 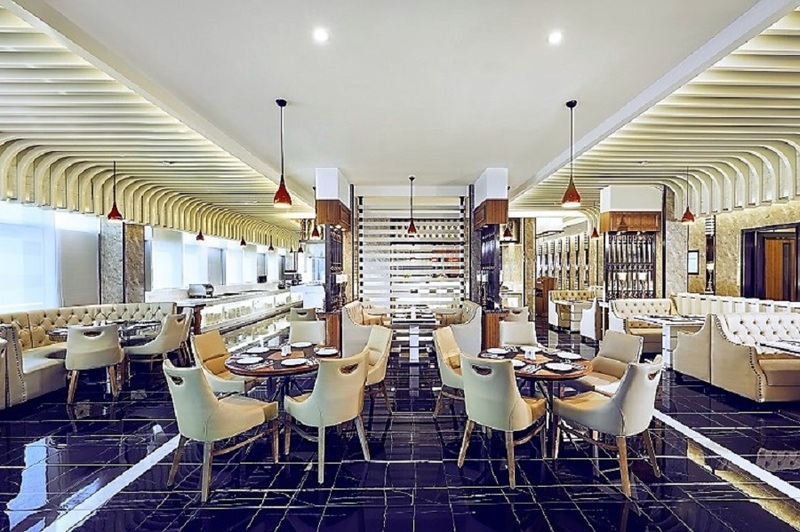 Spice Brasserie at the PARKROYAL on Kitchener Road is an all-day dining restaurant offering a smorgasbord of local and Asian favourites. It’s an enticing venue for buffet fans who want both specialty and variety, with a spectrum of specialties from Asian to Western. 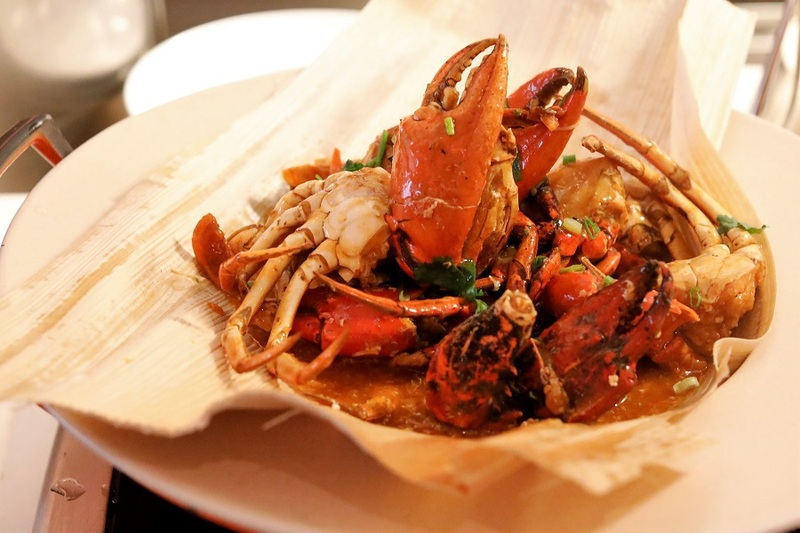 Known to specialise in flavourful seafood, particularly crabs, Spice Brasserie’s “Battle of the Crabs” buffet has been the talk of the town for its variety of crab dishes including the signature Singapore Chili Crab, Salted Egg Yolk and Butter Crab, Steamed Marinated Spicy Crab, and Stewed Kimchi Crab. Try something different and experience their all-new local flavour themed buffet. Expect unlimited servings of your local favourites, available for a limited time for lunch and dinner. 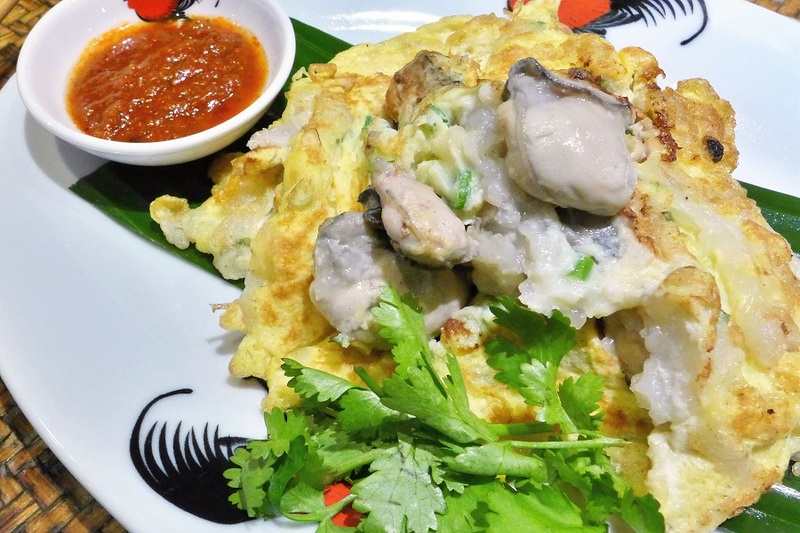 The Local Food Fare Buffet includes Bak Kut Teh Mee Sua, Masala Thosai, Oyster Omelette, Stir-fried Slipper Lobster in Black Pepper Sauce, Stir Fried Mud Crab in Chili and Peanut Sauce, and Durian Pengat, served with Sticky Rice. Other recommended items include Nonya Laksa with Boston Lobster, Udang Masak Lemak Nenas, Assam Padas Ikan Pari, and Wok Fried Bee Hoon with Lala. Buffet-licious Deal: Purchase vouchers from ChopeDeals for Spice Brasserie at 30% off. 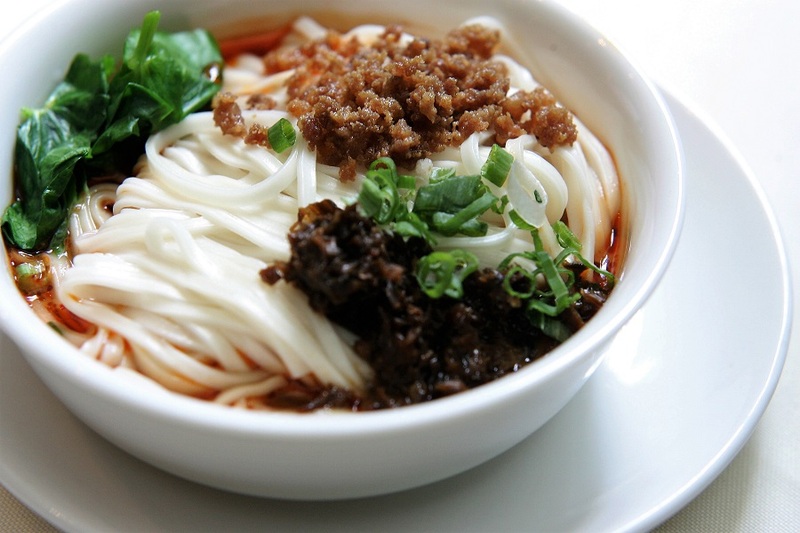 Si Chuan Dou Hua pioneered authentic Sichuan cuisine in Singapore. Since 1996, it has been serving the true flavours of Sichuan through its experienced native chefs. Alongside its classic Sichuan cuisine, it also serves Cantonese delicacies done the traditional way. 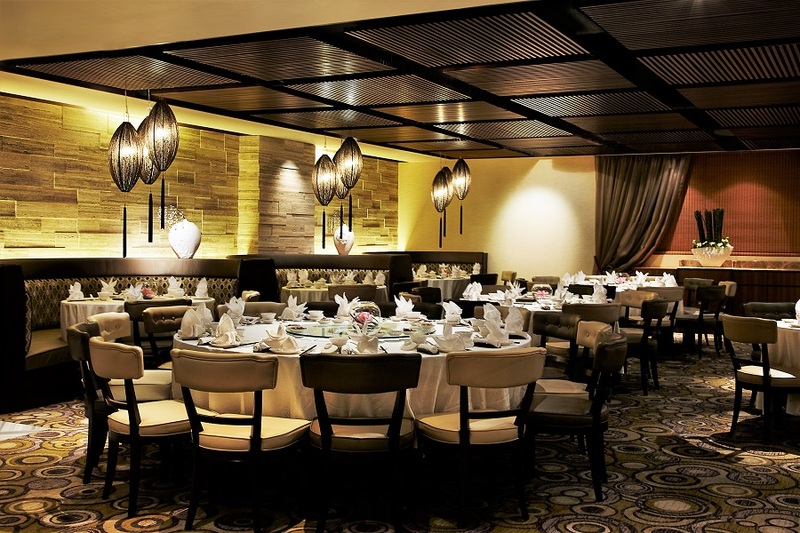 Here, you can enjoy its signature Dinner Buffet in an exquisite setting. The buffet features a medley of these authentic Sichuan and Cantonese specialties, including Sichuan Dan Dan Noodles and the Marinated Black Fungus and Turnip with Preserved Chilli, a cold appetiser. Buffet-licious Deal: Purchase vouchers from ChopeDeals for Si Chuan Dou Hua (Kitchener Road) at 30% off. Located at the 3rd level of Mercure Singapore Bugis, Royale lives up to its name as an elegant setting for all-day dining, complemented with creamy leather seats, black marble floors and a Baroque-inspired décor. The food at Royale, its flavour and presentation, are in sync with the elegance of the ambiance. Royale’s menu includes a variety of international dishes, inspired by global flavours, ranging from freshly shucked oysters and sashimi, to Lok Loks dipped in Mala, Thai Tom Yum or Herbal Chicken Broth. 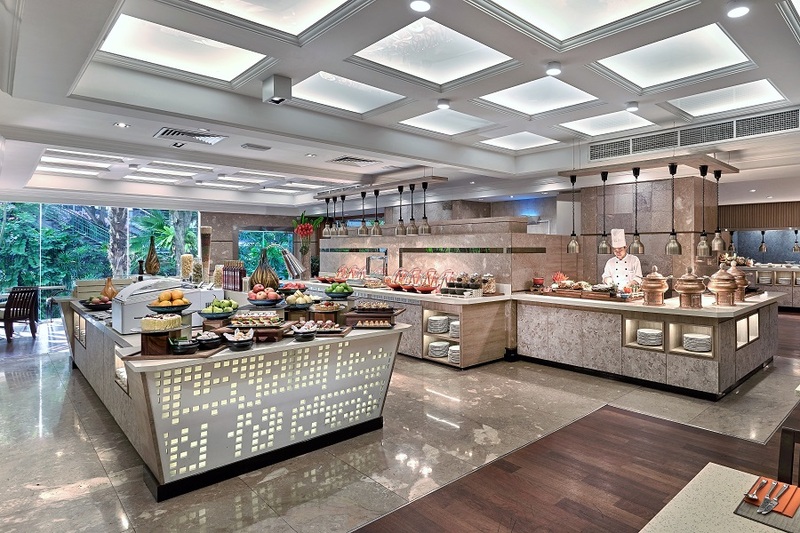 The International Lunch Buffet features a selection of fresh Seafood on Ice, local and international favourites, and a Sensational Desserts Bar. For dinner, a live BBQ station serving the best of grilled specialties is added to the setup. Famed for its stellar seafood spread, Ginger is a melting pot of local and international cuisines on the buffet line. You get to taste different cultures in one go. 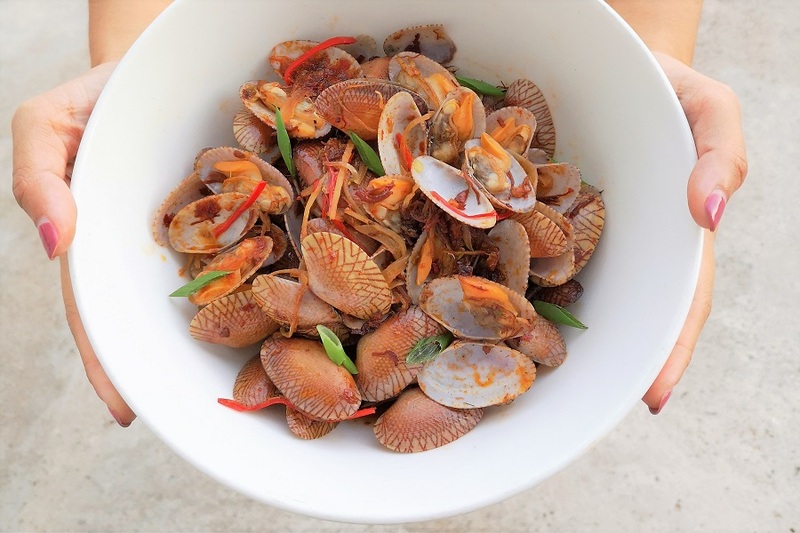 Its spread has made fans of its long-time popular favourites, such as the crabs cooked in different ways. The Black Pepper Crab is definitely a show stopper, with its aromatic wok hei and prominent peppery zing. 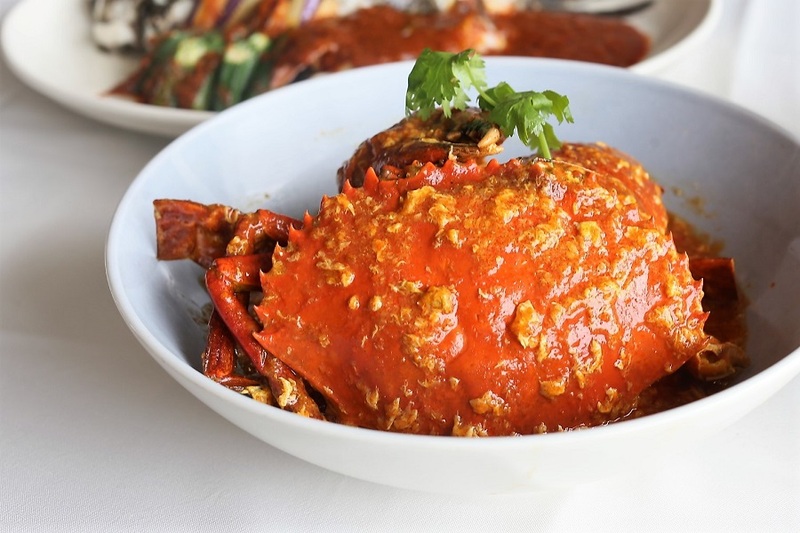 Another crab dish, the much-loved Chili Crab, is drenched in a sweet, savoury and spicy gravy mixed with strands of silky egg. Aside from its crab series, Ginger provides you sizzling meats cooked a la minute at the live grilling stations. 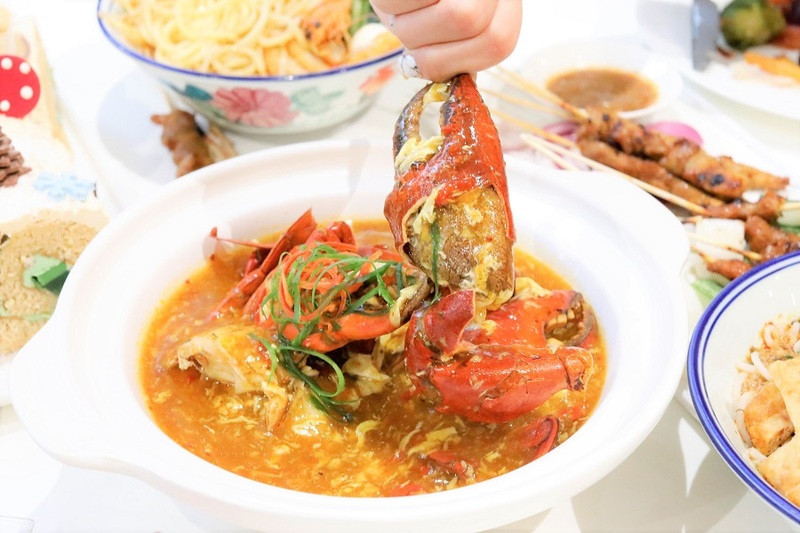 Try the all-new Claypot Rock Lobster with Fish Maw Soup is the latest addition to Ginger’s collection of crustacean dishes. It’s the first time they’re using Rock Lobster, cooking them a la minute in a claypot of clear fish maw soup. The soup is flavoured with fish maw and fresh broth, and Chinese cooking wine. The DIY Kueh Pie Tee station is also a must-visit, where you can taste this famous one-biter Peranakan snack. Fill the kueh (a thin and crispy tart shell) with the pie tee (a sweet mix of finely diced veggies), and top it with a bit of sambal, sweet sauce or some coriander leaves. 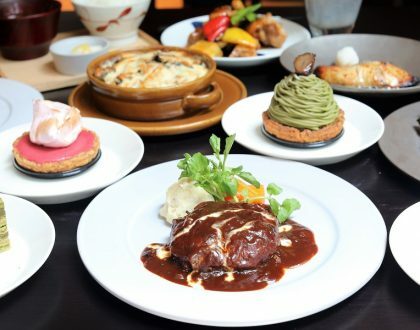 Buffet-licious Deal: Purchase vouchers from ChopeDeals for Ginger at 15% off. 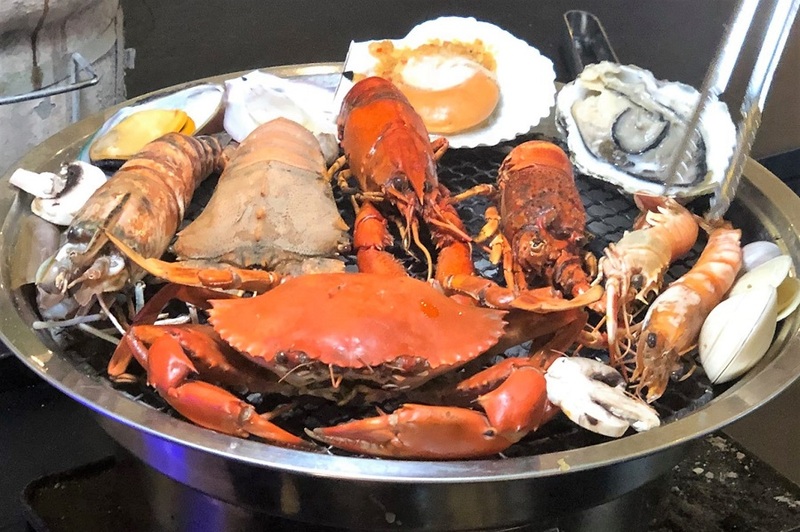 Specialising in Singapore-style seafood using quality standards, TungLok Seafood welcomes seafood lovers from all over to offer the TungLok brand experience. The all-time family favourite TungLok Chilli Crab is highly recommended. Its unique gravy is a blend of tomato sauce and fresh hand-squeezed orange juice with thin slices of orange. Served with piping hot steamed buns to soak up that delectable sauce, this dish is limited to one portion per table. Pick these buffet dishes when you can: Salmon Sashimi, Mini ‘Buddha Jumps Over the Wall’, Scallop with Broccoli in X.O. Sauce, and Herbal Soup with Prawn. Other delicacies include Deep-Fried Prawn with Crispy Oats, Deep-Fried Sea Bass with Soya Sauce, Deep-fried Baby Squid, Steamed Red Tilapia with Spicy Meat Platter, and Steamed Red Tilapia with Spicy Bean Sauce. Buffet-licious Deal: Purchase vouchers from ChopeDeals for TungLok Seafood’s Ala Carte Buffet for 4 pax at 26% off. 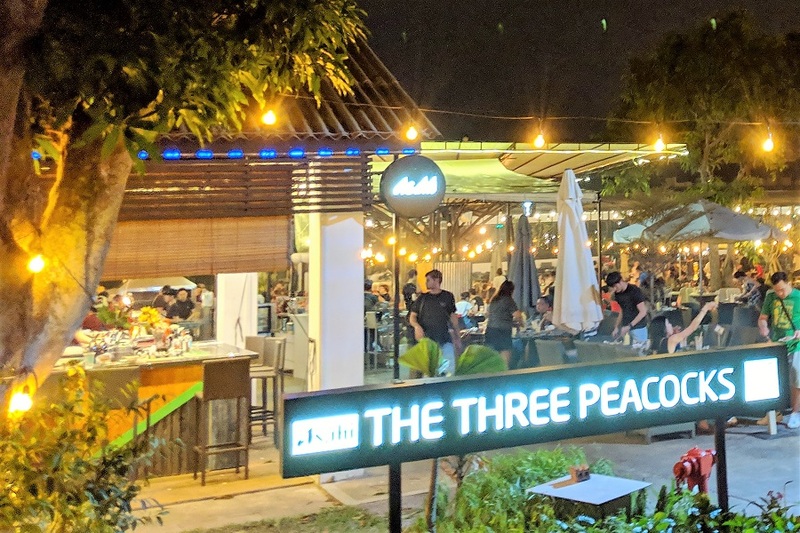 Located at a secluded spot next to Labrador Park, The Three Peacocks is a casual BBQ and seafood restaurant and cocktail bar. A place to experience live seafood with a view. The Three Peacocks Dinner Buffet is an international buffet spread consisting of over a hundred dishes and food items, including fresh live seafood, barbecued seafood and meats, and drinks. Seafood lovers will enjoy “catching” their own live oysters, live mud crab, and live prawns from the tank. There’s also a seafood on ice section with baby lobsters, crayfish, etc. There are 8 choices of meat with 3 kinds of Wagyu beef for meat gourmands out there, who should also watch out for its upcoming promotion featuring the premium Iberico pork. The Grilled Oysters with Garlic Sauce and Grilled Wagyu Beef are recommended signature dishes. You may also dip your meats or seafood in their free-flow melted cheese. 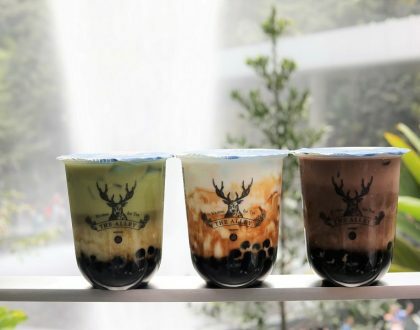 Buffet-licious Deal: Purchase vouchers from ChopeDeals for The Three Peacocks at 10% off. On top these existing attractive buffet offers, you can now get extra $8 OFF (with a minimum spend of $80) these vouchers. Use the code <BUFFET8> when you checkout on ChopeDeals to enjoy the discount!